You are at:Home»Herbs»Vitex negundo Linn. Latin name : Vitex negundo Linn. Nirgundi is an important herb in Ayurveda. The botanical name of nirgundi is Vitex niaundo, which belongs to the family Verbenaceae. This herb is also known by various other names such as Samhalu, Meudi. This herb pacifies the kapha and vata doshas of the body. The roots, seeds and leaves part of this herb are used to prepare medicines. Nirgundi herb has various properties such as bitter, acrid, astringent, heating, anthelmintic and cephalic. It is used to cure various diseases such as leucoderma, inflammations, spleen enlargement, eye diseases, bronchitis and various other diseases. Some Ayurvedic properties and other benefits of nirgundi herb are discussed in this article. Nirgundi is best analgesic, anti-inflammatory, antibacterial. Nirgundi leaves after heated are tied over the affected part in headache, scrotal swelling, arthritic pain. Nirgundi improves blood circulation process. Nirgundi improves ventilation therefore used in Kapha dominant cough, asthma, pneumonia and pleurisy. Nirgundi useful in dysuria and anuria. In gonorrheal infection it helps in passing urine smoothly. Nirgundi improves menstrual flow therefore used in dysmenorrhoea and obstetric conditios. Nirgundi is used as a anupan or a main drug in typhoid and malaria fever. Nirgundi is stimulated every part of the body, therefore it acts as a rasayan in body. Nirgundi is an analgesic, brain tonic and alleviates vata, therefore useful in headache, sciatica, rheumatic arthritis, synovitis, improves memory. Nirgundi improves appetite and digestion. 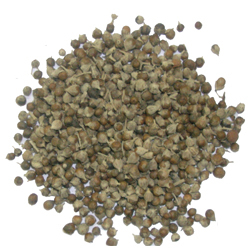 It is useful in loss of appetite, anorexia, ama-dosha, hepatitis and is anthelmintic. Recommended Dosage : 3 to 5 g dried fruit.